Italian cuisine in my world is king. Hence here I am at another Italian joint, quite different from Buon Ricordo but nonetheless reveling in its own charm. Pasta Emilia is another Libby recommendation (I’ll have to get my own recommendations someday) and on this particular night it’s Bun, ‘D’ and would you believe the ‘restaurant whisper’ herself, Libby. Arriving at Pasta Emilia is like arriving at a cottage in the farmlands of Italy with its wooden tables graced with sunflowers, rustic shelving stacked with jams, teas and pasta sauces and fridges filled with ready made pastas for sale ranging from kale flower and pecorino tortelli to beef and parmigiano ravioli. 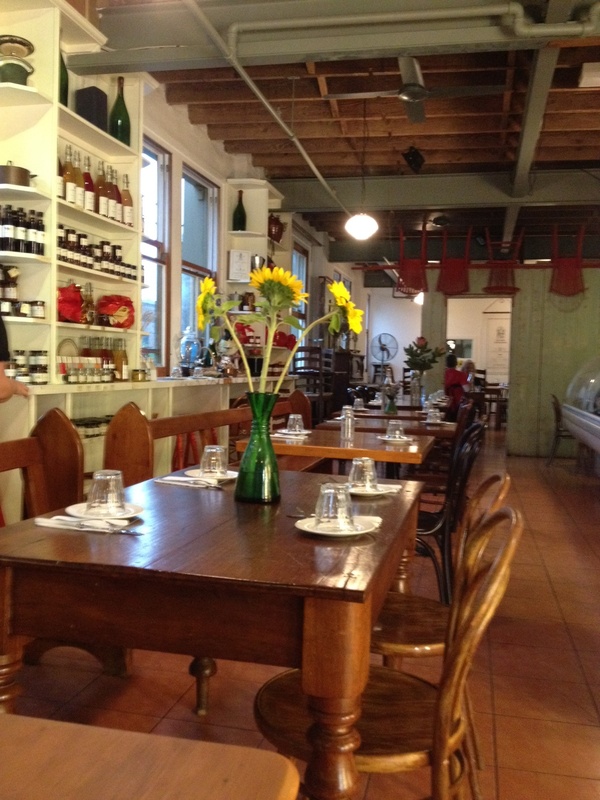 It’s mostly an organic/biodynamic restaurant with a sprinkle of deli and cooking classes thrown in. 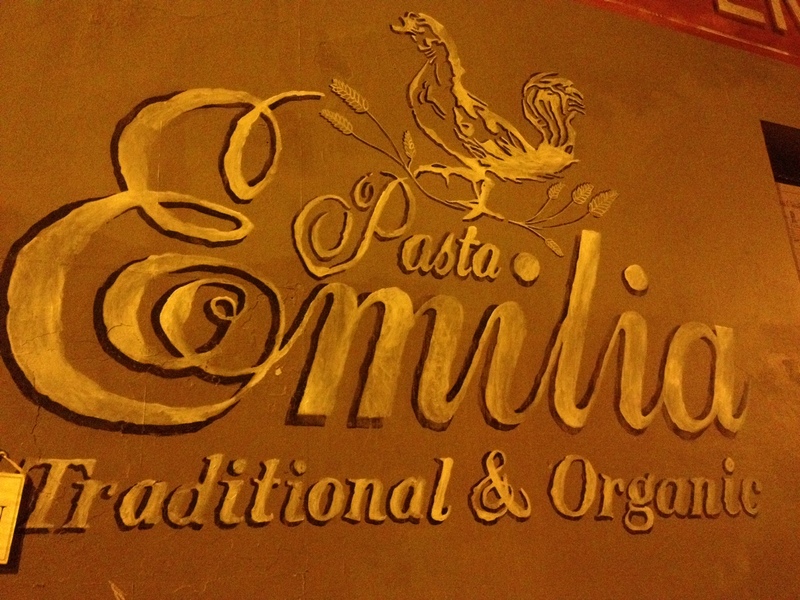 Run by Anna Maria Eoclidi who hails from the Emilia-Romagna region in Northern Italy, which is famous for its pasta and supercars (Ferrari and Lamborghini have their headquarters there), Pasta Emilia started in Bronte but has since relocated to Surry Hills building a regular clientele thru the restaurant and selling its produce at local markets. Tonight we kick it off with a 2012 Chianti Montalbano from the Tuscany region, which is smooth, fruity and biodynamic. 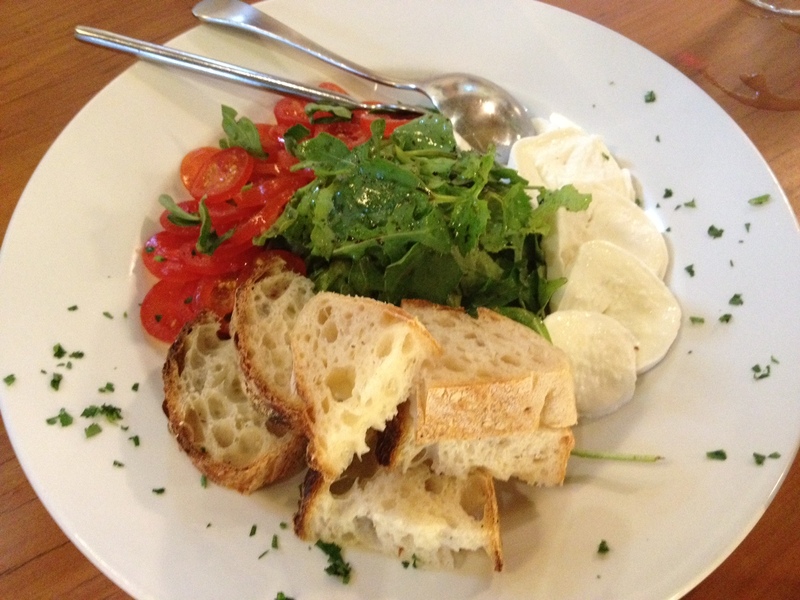 Bun and I share the Caprese salad with tomato, basil and buffalo mozzarella, which is fresh, tasty, and a nice way to begin, knowing the richness is still ahead of us. I can’t say I’ve had a lot of Tortelli in my life but ‘Tortelli of the day with truffle cream sauce’ sounds appetizing so I give that the green light and it doesn’t disappoint, rich but not overly so, there are two types of handmade Tortelli in this dish, beetroot and chevre which complimented the pumpkin and ricotta. Once a jar of fresh chili sauce appears I dab a little on to give it some jazz, I share this with Bun who has a tomato based Penne which ended up being a nice contrast to my Tortelli. Delicious. Tortelli was really the theme of the night as Libby delved into the Crab & Prawn version with salsa verde “Fresh and vibrant” I heard Libby say, with ‘D’ enjoying his Duck & Truffle Tortelli with sage and butter. Tonight the service is a little unremarkable due to a mix-up with the dishes and the friendliness fuel tank runs a little low, we have a giggle about it, declare its Saturday night, which brings its own mini-chaos with a full restaurant and dive into desert. 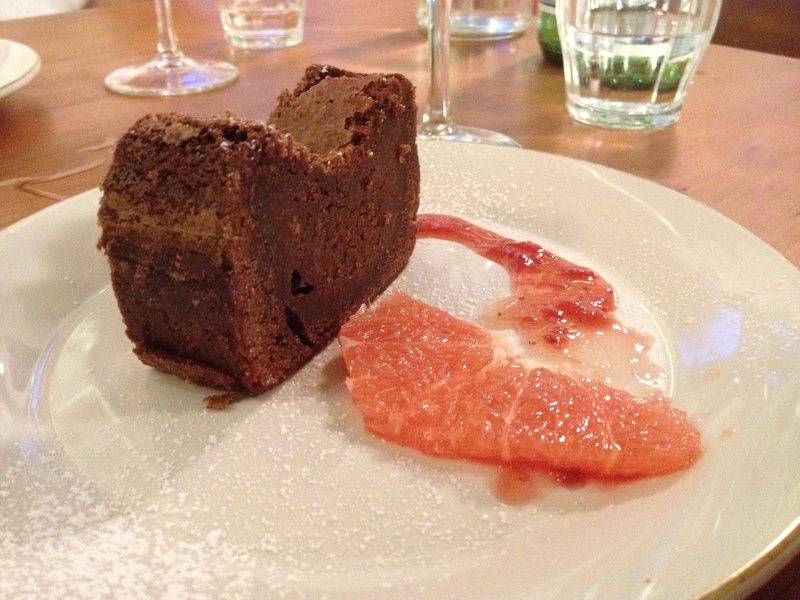 Bun has the torta cioccolato (gluten free chocolate cake) with icing sugar and a slice of grapefruit and raspberry sauce, its very good with a nice collision of flavors. 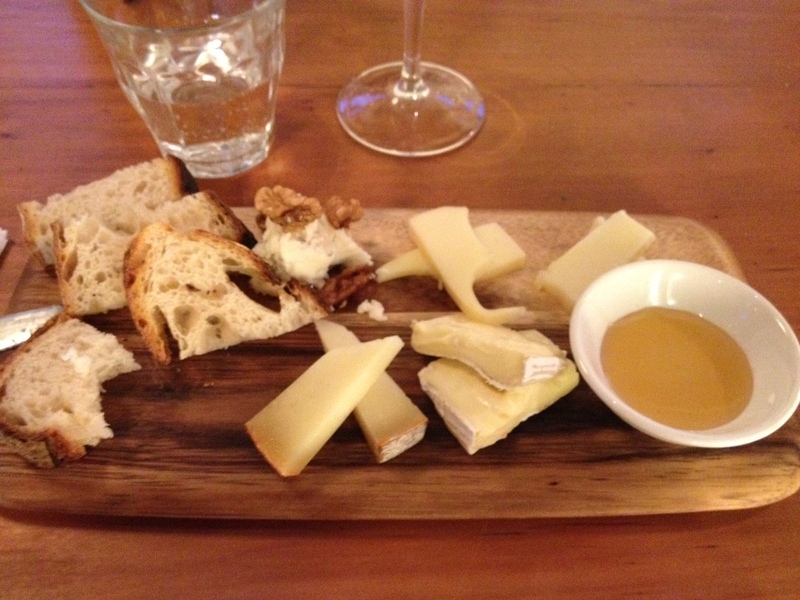 I woke up one morning about 10 years ago and discovered that my tasty buds had decided to morph into something else and now I have a taste for blue cheese, I must honor the morph and go for the cheese board with its rustic presentation and side of honey which is exactly what I was after, all washed down with their homemade Limoncello. Bellissimo! 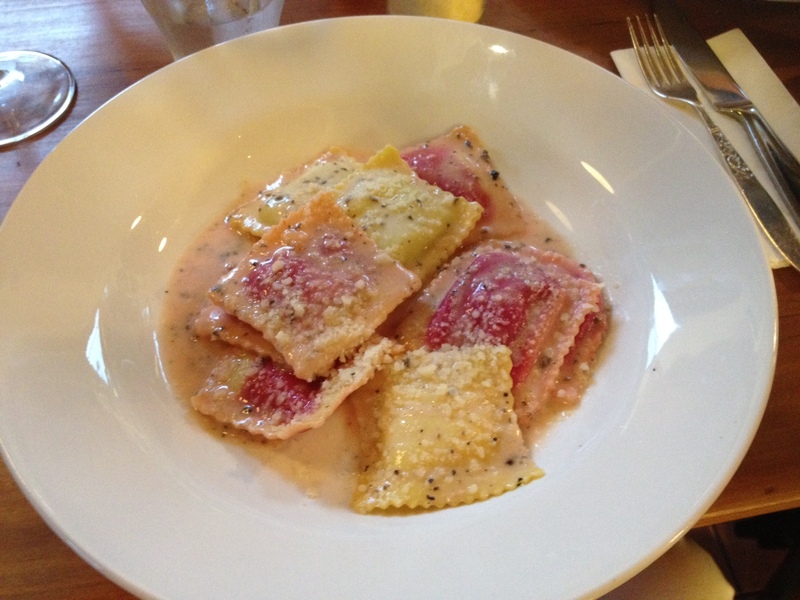 Summary: Italian dishes true to the region its been inspired by. Anna Maria has created a homely cottage in Surry Hills that serves terrific meals and gives you the option to fill your Pantry. And its organic! Why do you keep posting these restaurant reviews when I’m a little hungry Hally? Now I’m absolutely hanging for some pasta! The tortelli dishes sound amazing. I do like the rather polite way where you describe the disappointing service!